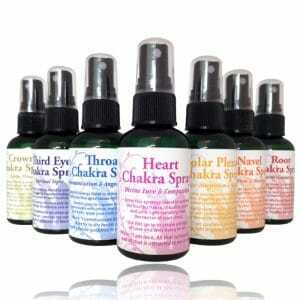 Spray this synergy blend to activate the seventh chakra. Visualize a halo of white light filled with golden particles surrounding your head. Use this spray to increase your connection with Divine Consciousness and the ability to channel and access miracles. Ingredients: Water; Proprietary Blend of Medical Grade Essential Oils; Holy Waters from around the world; Sacred Site Essences from around the world; Bach Flower Essences; Gemstone Tinctures . 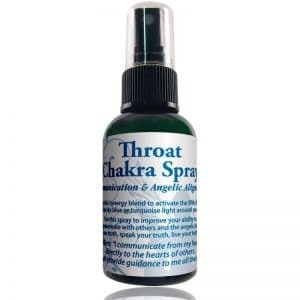 Spray this synergy blend to activate the fifth chakra. Visualize sky blue or turquoise light around your neck. Use this spray to improve your ability to communicate with others and the angels. Know your truth, speak your truth, live your truth. 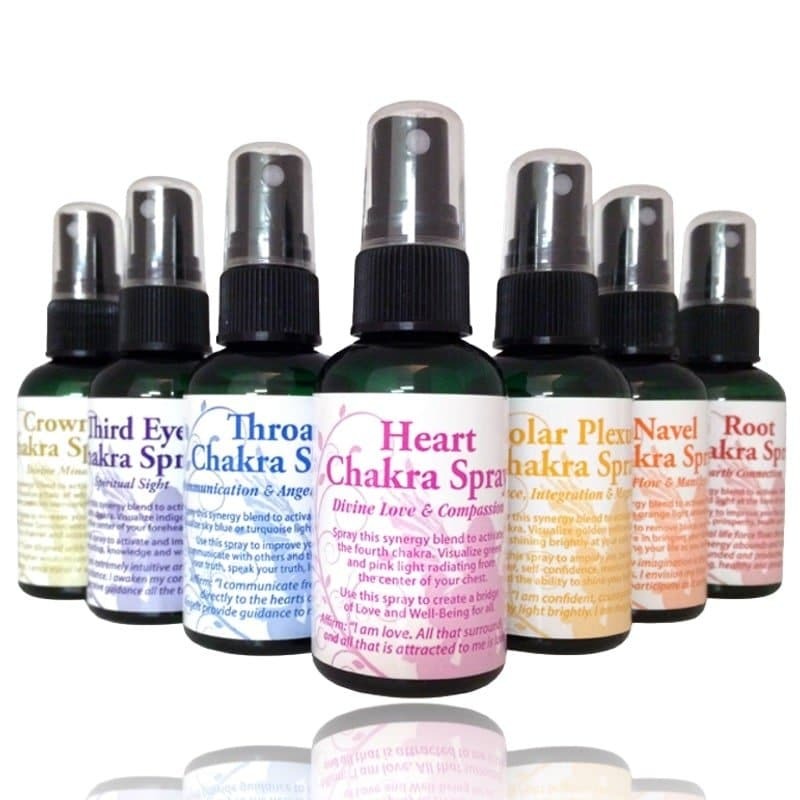 Spray this synergy blend to activate the fourth chakra. Visualize green and pink light radiating from the center of your chest. Use this spray to create a bridge of Love and Well-Being for all. Spray this synergy blend to activate the second chakra. Visualize orange light around your belly. Use this spray to remove blocks and increase your courage in bringing your ideas into actuality. Imagine your life as you want it to be! 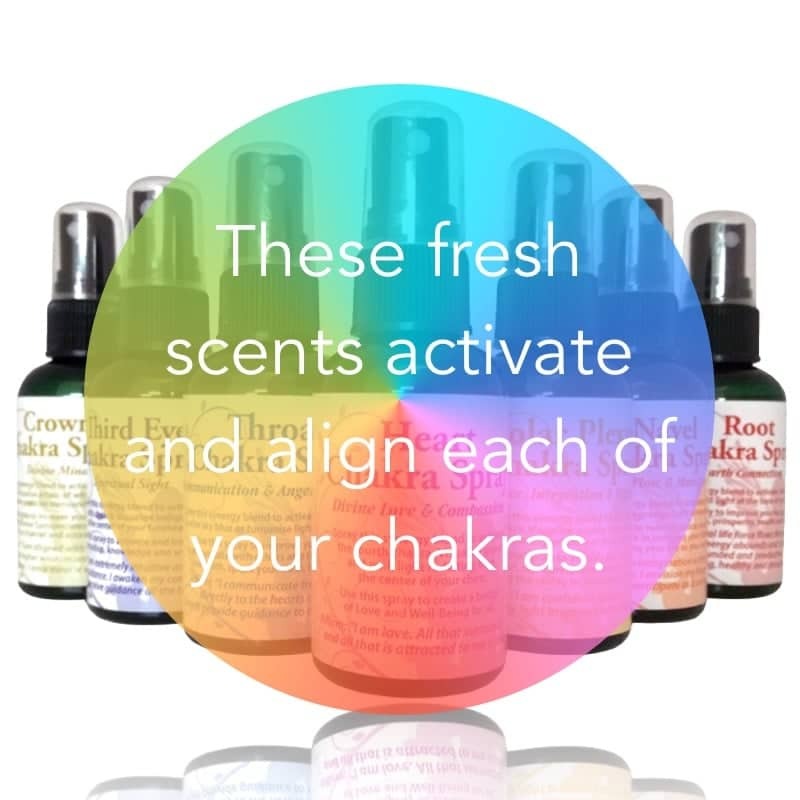 Spray this synergy blend to activate the first chakra. Visualize red light at the base of your spine. Use this spray to improve your focus, passion, motivation, prosperity, health and vitality.